WEST PALM BEACH, Fla. — If you dread dealing with parking in downtown West Palm Beach on a busy day, the city says you are about to have a much easier time with it. Parking administrator Ed Davis said his team is working on improvements, some of which will be launching at downtown parking garages soon. One challenge drivers might have is driving in circles looking for an open spot. Now, the city is launching a new system that will help you find empty spaces. Similar to what drivers may have seen at certain airports throughout the country, there will be colored lights attached above each spot to signal open spaces. Green lights mean it is open and red means it is occupied by a vehicle. 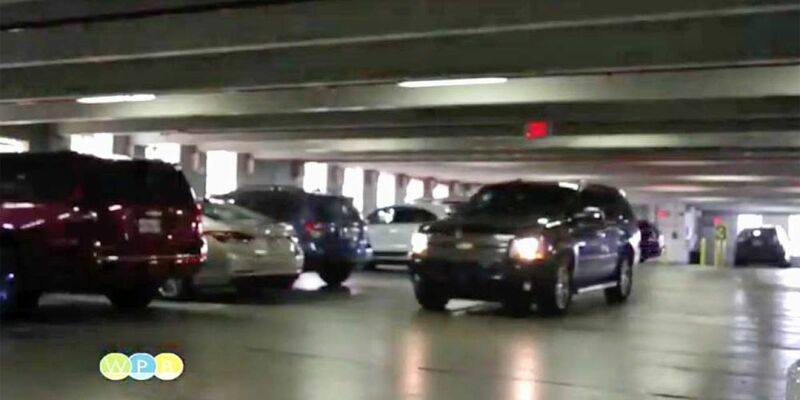 "The parking guidance system is a system that will allow us to display the number of spaces that are available on each floor, as you approach the first floor of the garage," said Davis. He said the city is also adding better signage in the downtown area directing drivers to nearby garages. There will also be another option to pay for parking besides using the machines -- you can use now your smartphone instead. City leaders are promoting an app for that payment option. "We're trying to promote the ParkMobile application that you can download to your cellphone, which can help you pay for parking at meters throughout the city," said Davis. If you don't want to use the app, you can still use cash, coins or credit cards to pay for parking at the garage machines. Click here for more information on parking in West Palm Beach.